If you want to look up a value in a table using one criteria, it’s simple. 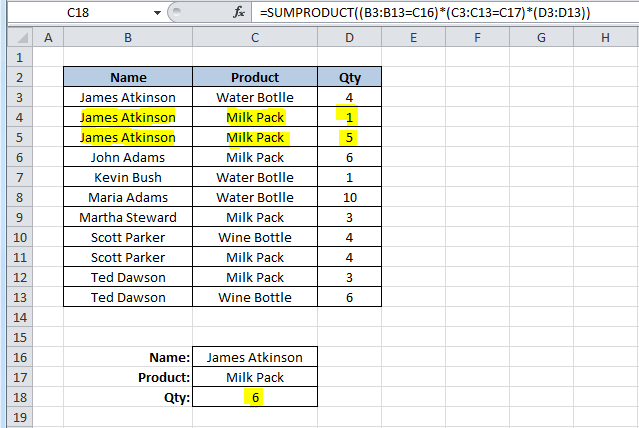 You can use a plain VLOOKUP formula. But if you want to use more than one criteria, what can you do? 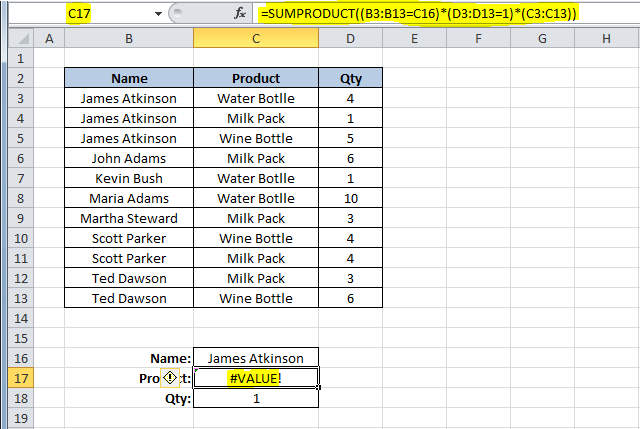 There are lots of ways using several Excel functions such as VLOOKUP, LOOKUP, MATCH, INDEX, etc. 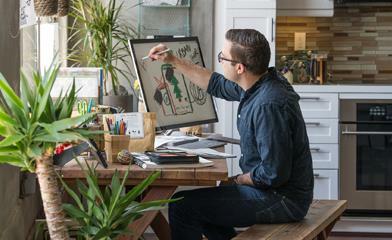 In this blog post, I’ll show you a few of those ways. Because our formula found two lines where both criteria were met, it sums the values in column D in both rows, giving us a Qty of 6. The result will be the same as in the previous solution. What this formula does, is divide 1 by an array of True/False values (B3:B13=C16), and then by another array of True/False values (D3:D13=C18). This will return either 1 or a #DIV/0! error. 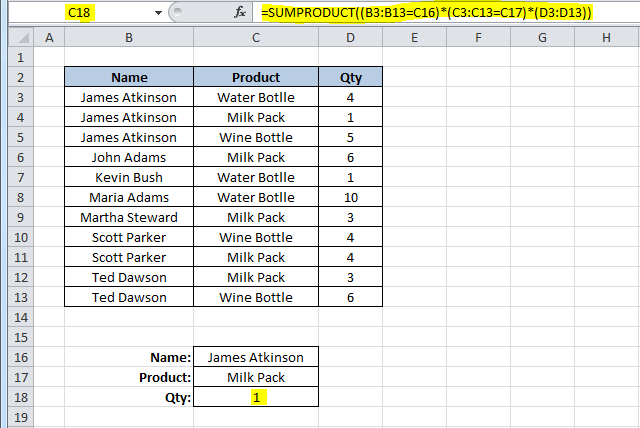 If you use 2 as the lookup value, then the formula will match it with the last numeric value in the range, that is, the last row where both conditions are True. This is the “vector form” of the LOOKUP, so you can use it to get the corresponding value returned from C3:C13. I used 2 as the LOOKUP value, but it can be any number, starting at 1. If the formulas don’t find any match, you will, of course, get a #N/A error! With this technique, you can use the MATCH function to find the row where both conditions are met. This returns a value of 1, which is matched to the 1 that is used as the lookup value of the MATCH function, thus returning us the row where the conditions are met. 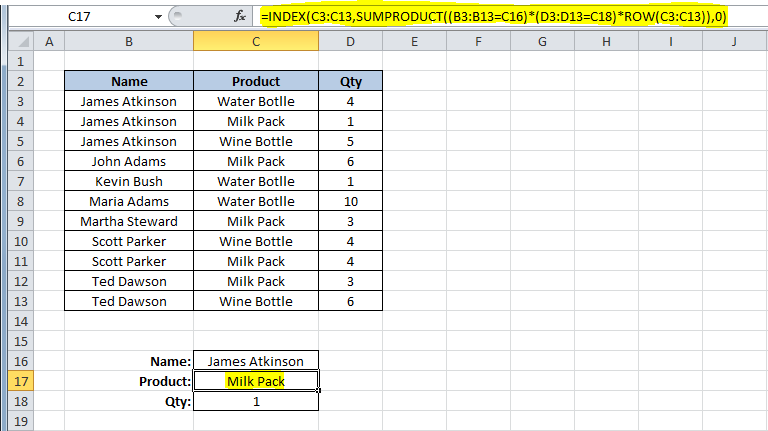 Using the INDEX value, you can look for the value that is in the range C3:C13, which is in the row that was returned from the MATCH function. In this case, it was row 2, which corresponds to the second row in the range C3:C13. 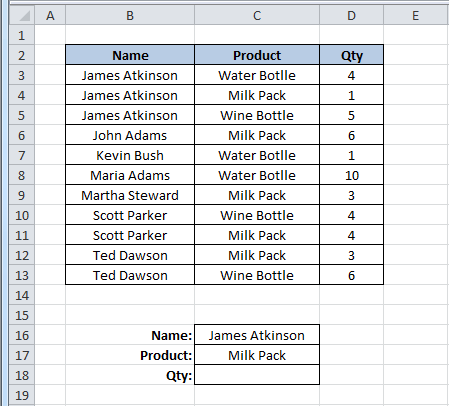 As you can see, depending on what’s in your data tables, you can use several different techniques, using different Excel functions, to look up values. Enjoy applying these to your own Excel spreadsheets.